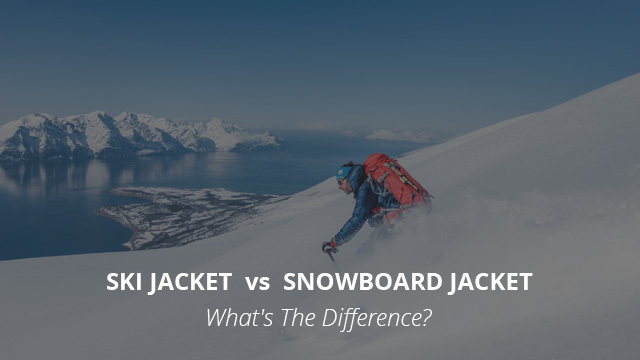 Ski Jacket vs Snowboard Jacket: What’s The Difference? Those who enjoy the outdoors year round, regardless of weather and temperature changes, know too well the importance of having the right clothes. Layering up with several clothes is an essential step when spending time out in nature, especially during the winter months, but not just any type of fabric, shirt or jacket will do. That is why winter jackets come in a variety of options and designs. No two jackets perform or wear alike, even within the same brand, so it is really important to determine beforehand what you are looking for and then move on to finding the right jacket for you. When we mention outdoor activities in winter, right away snow sports come into mind. Skiing and snowboarding are not solely practiced by professionals who spend years perfecting their performance in these activities, but amateurs who enjoy playing in the snow choose to spend their winter holidays up in the mountains skiing the day away. In several previous selections and reviews of ours we have looked at numerous jackets that can be worn in different activities, including skiing or snowboarding. But today it’s time to focus specifically on these two sports and learn more about the jackets that are best suited for them. 1. Why Not Go For a Regular Jacket? 2. Skiing vs. Snowboarding: Is There a Need for Specific Jackets? Those of you who are beginners in snow sports and are looking for jackets to wear on your winter holidays in that beautiful ski resort you will be going to in a week, might be trying to cut corners and get away with a normal winter jacket that will keep you warm. You are not wrong to look for a warm jacket, but that is not the only quality a jacket that is worn for skiing or snowboarding must have. When it comes to snow sports, there are several factors to consider for choosing the right jacket. Not only do they require jackets that will be able to insulate properly and shield you from the cold, but breathability is also incredibly important. A jacket that does not breathe well is not just bothersome due to being uncomfortable, but it can compromise your well being as well. Being out in the cold for several hours puts you in enough risk as it is. Being out in the cold and drenched in sweat is another thing entirely. In that case, all odds are stacked against you, so do not just focus on finding a warm jacket while ignoring the importance of breathability. Another very important quality is water-resistance. There is no use for a warm down jacket that will soak up moisture from the snow the instant you are on the ground. It will get you wet and, as we mentioned above, wet and cold are the worst combination there is. As such, you now also have to look for a jacket that is at the very least water-resistant. Then another issue arises, that of moving around freely and comfortably. A water-resistant down jacket, for example, will be warm, mildly breathable and keep you dry for some time, but such a bulky jacket will constantly get in the way while you are trying to learn snowboarding tricks or moving around on the skis. Which brings us to jackets that are specialized for snow sports. They fit all of the above criteria and also come with special features, such as adjustable hood, snow skirt, underarm vents, numerous pockets and wrist gaiters. To answer the question, not really. There is no need for a beginner or amateur snowboarder to buy a jacket that is specifically designed for snowboarding and not skiing. Most people wear snowboarding or skiing jackets interchangeably because of the similarities they share. Waterproof, highly durable, suitable to block out snow, insulated and breathable, both types of jackets work for either sport. However, those who are serious skiers or snowboarders will tell you that there are quite substantial differences between the two types of jackets and as such, you must choose the right one for the sport you practice. Let’s look at why there are these differences in the first place. Read also: How To Choose The Best Ski Jacket? In terms of activity, apart from being out in the snow, skiing and snowboarding do not really share many performance similarities. Skiing is a speed-based sport, where the focus is in moving elegantly and fast. Snowboarding, on the other hand, is more of a performance and style sport, as it originates from surfing and skateboarding. It requires a full-body range of movement where you are constantly trying to balance yourself on the snowboard. When we look at how different these two sports are in how they are practiced and their requirements, it quickly becomes evident why there are specialized jackets designed for each. Well, with all of that being said, what exactly are these differences in jacket design? Read on. Ski jackets are snug-fitting jackets. They are designed to be aerodynamic, in order to allow for maximum speed during movement. This same quality is also evident in ski pants, for example. Because a lot of movement is needed both on the upper body and legs, ski clothing fits snuggly and, in the case of jackets, they are also shorter in cut as they end at the waist, typically. This eliminates the possibility of the jacket’s hem getting in the way while the legs are moving. In terms of style, ski jackets do not vary much from one another. There aren’t many patterned ski jackets to be found. However, there are bright and bold colors, which is not only a safety matter (bright colors will keep you visible in the snow), but it is also in relation to its racing origin. The designs are lightweight and very breathable. In regards to insulation, it varies from jacket to jacket but it is present in all. However, it is usually provided through fabric technologies as opposed to heavy padding or filling, which would defeat the purpose of a lean and light jacket. Snowboarding jackets are baggy jackets, usually. This is in direct relation to the sport originating from skateboarding, where street style is the staple look. Baggy fitting pants and tops are the “uniform” of skateboarding and, as such, this is a style also found in snowboarding. Another reason for the loose-fitting cut of the jackets is also the need for movement, since snowboarding is more focused around performing tricks, where looser sleeves and a looser body fit is required from the clothes, as it makes performance easier. In regards to style, snowboarding jackets come in a variety of patterns and colors and can be categorized as the most stylish of all types of sports jackets because of this. They typically come with media pockets as well, which is not always found in ski jackets. Unlike ski jackets, which are lightweight and short, snowboarding jackets are heavier and longer, with hems usually ending at the hips. This is not just because it suits the style better, but it also helps provide better coverage in between heats, when you are sitting on the snow. 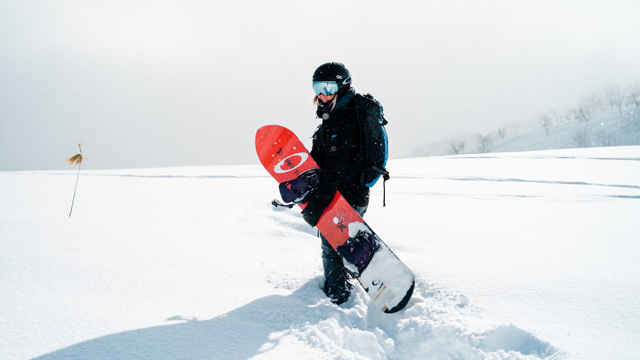 As you can see, despite being marketed and sometimes even sold interchangeably, there are important differences between snowboarding and ski jackets, which will definitely affect performance, especially for those who are serious about practicing these sports. With that being said, you should make the best choice for your requirements. 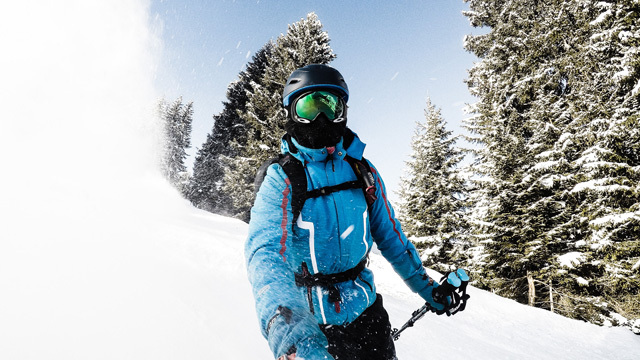 If you are a casual skier or snowboarder, then there is nothing wrong with using either type of jacket, as long as it manages to keep you warm and dry. Previous Article← Columbia Thermal Coil Technology Review: Does It Really Work?